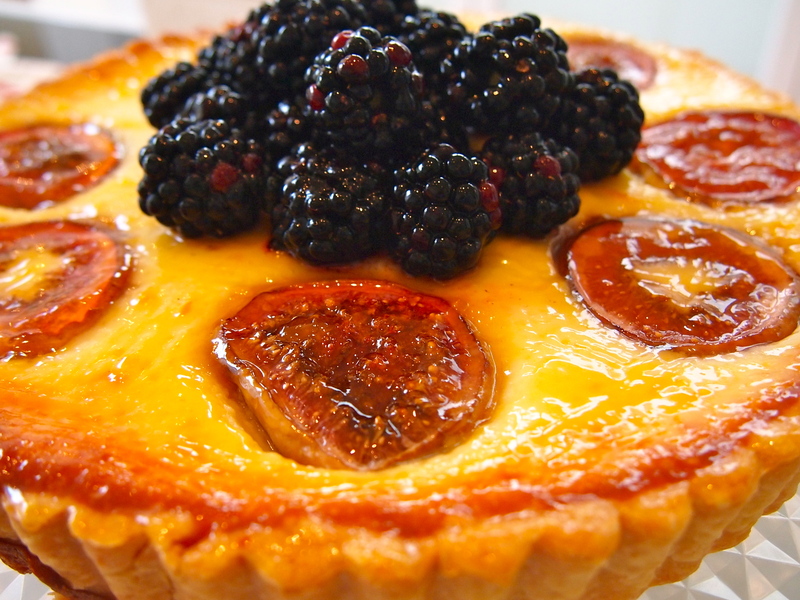 This gorgeous tart by Karen Martini is the perfect dinner party dessert. Despite its appearance and the combination of ricotta and mascarpone, it’s actually very light and not overly sweet. I made it recently when some friends came over for a mid-week meal and it went down a treat, even with the non-dessert fans at the table – and yes, there are actually people out there who aren’t fond of desserts! The filling itself is very simple with all the ingredients being whizzed up in a matter of moments in a food processor. The only time consuming part is the tart shell and the blind baking it requires. I always make a double batch of shortcrust pastry and put one half in the freezer so I invariably have it on hand and this saves a little bit of fiddling around. 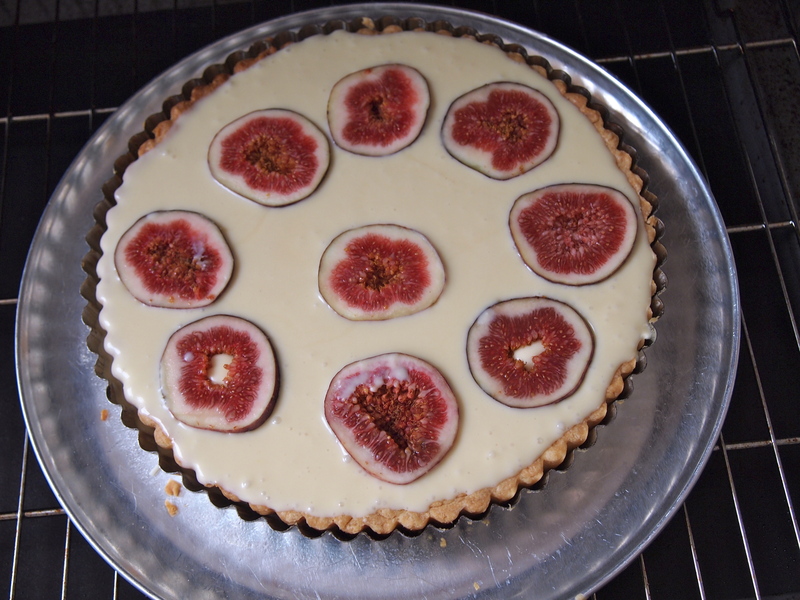 I served the tart at room temperature and put the rest in the fridge at the end of the night. When I went to have a cheeky slice the next day for morning tea it was even better cold, which is how I think I’ll serve it the next time around. I also recommend not skipping the blackberry garnish, it adds a lovely sharpness and finishes the tart off beautifully. Roll out the pastry on a lightly floured board. 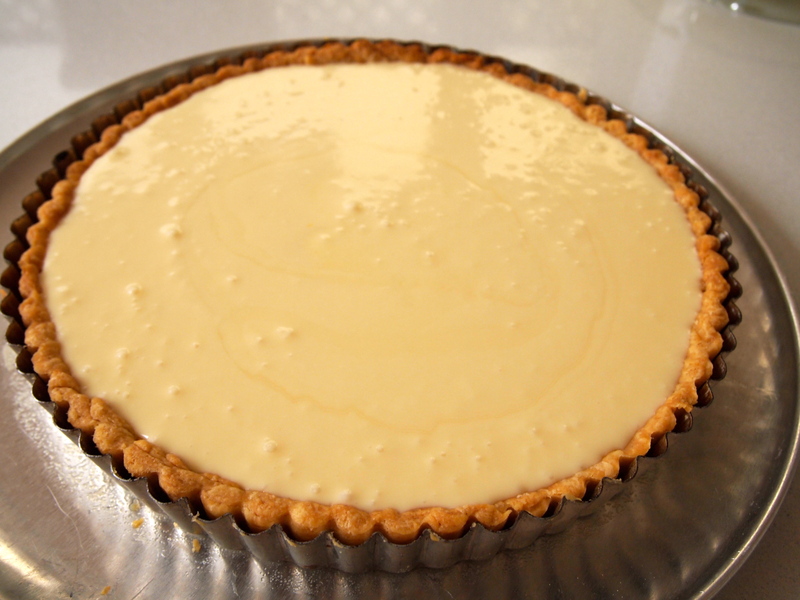 Lift the pastry into a 23cm tart tin with a removable base, and press it in lightly. Cover and place in the fridge for a minimum of 30 minutes. Preheat oven to 180C. Blind bake the tart shell by lining the pastry with baking paper and beans or rice. Bake for 15 minutes. Remove paper and beans and cook for a further 10-15 minutes or until the pastry is crisp and golden. Set aside to cool and lower the oven to 160C. To make the filling, combine mascarpone, ricotta, sugar, honey, vanilla, eggs, egg yolk and flour in a food processor and blend until smooth. Pour into the cooled tart shell. 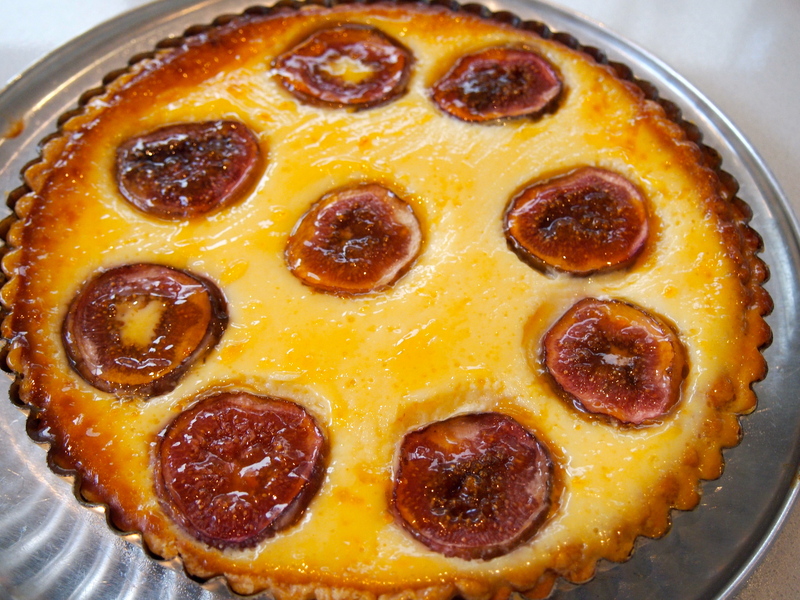 Arrange sliced figs on top. Bake for 35-40 minutes or until filling is set but still slightly wobbly in the centre and golden. Place jam in a small saucepan over medium heat and warm for a few minutes until melted. 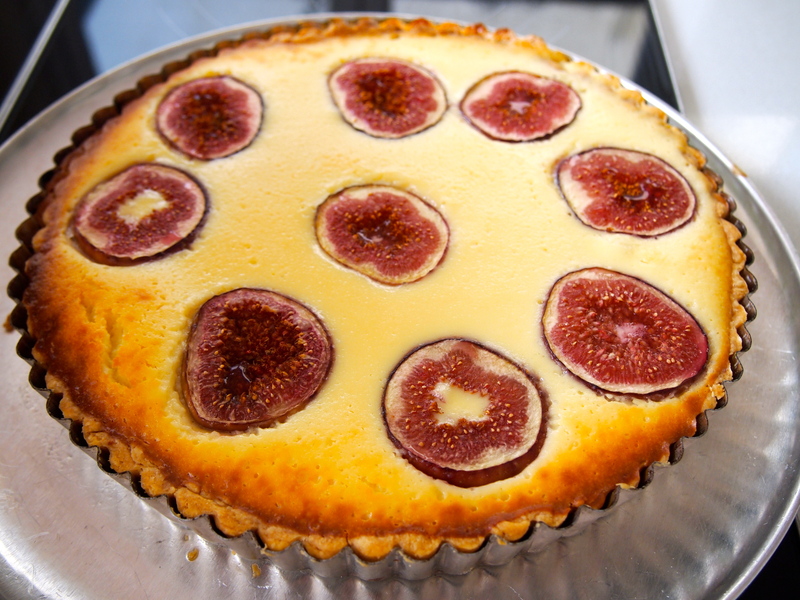 Brush gently over the cooled tart. Combine blackberries, extra sugar and lemon juice. 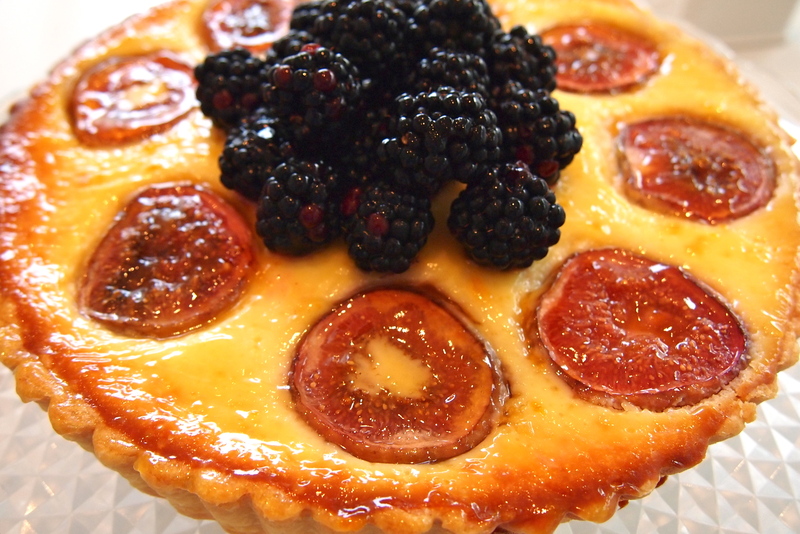 Spoon over the tart and serve either at room temperature or slightly chilled.